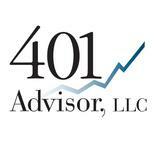 With oil crashing and the worst week for the DOW in two years behind us, I thought I’d weigh in on our market outlook. Especially after reading an article last week titled “This is What a Market Crash Looks Like.” Geeesh, let’s not over react! 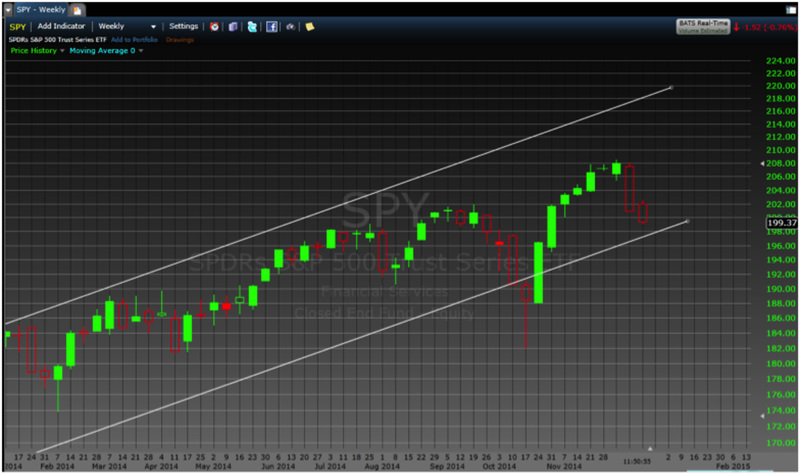 Below is a graph of the SPY, the S&P 500 Index ETF since January 2013. Each little bar represents a day – green meaning the market was up for the day and red the market was down. Overall the market has moved up in a rather orderly fashion between the two white lines for two years now. 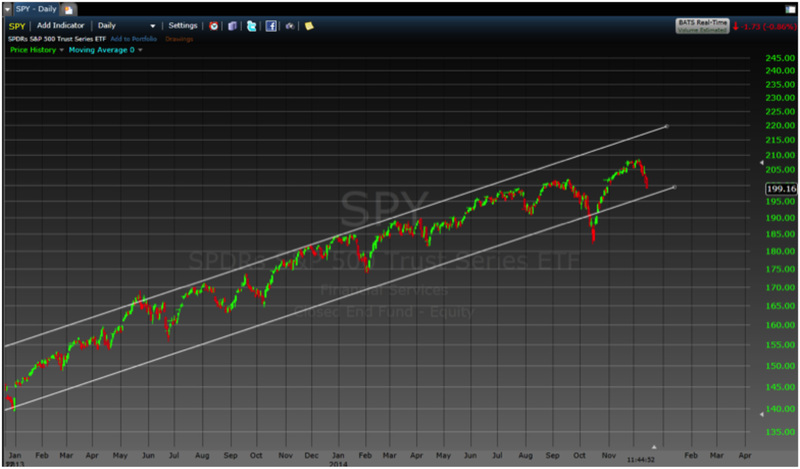 The exception being, a little dip this past October below the bottom white line. In traders’ parlance the bottom white line is termed “support”. Meaning it represents a price level where buyers tend to come into the market and bid prices back up. Looking at the chart above, we are clearly headed down to support – but we aren’t there yet. So we are still in the “normal” range for stocks to move in. In other words, we are not yet at panic mode. Below is another perspective. In this chart each block (we actually call a “candle”) represents a week’s change in the market’s price. So a green box means the market was up from Monday through Friday, and a red candle, that the market was down. I like this view as it takes some of the daily “noise” out of the picture. Going from right to left you have two red boxes – the first just represents the current week – so at the time of this writing Monday the 15th from open until 11:54 AM. The next red box is last week. But preceding this was seven consecutive positive weeks. That is unusual. A down week or two at this point is not just expected but would be a bit reassuring that we are not entirely in “bubble” mode. The markets’ may be a bit unsettling for the next week or two, but hold on until January. In fact go tend to your shopping or put a few extra lights up outside, but ignore the market noise and enjoy a happy and blessed Holiday and New Year. I’ll be here watching the market for you!